Gary has been with McCurry Van and Car Rental for close to a year and has extensive background within the auto industry itself. Gary usually handles the counter and does the rental paperwork. He can be reached at 2562300232. Gary resides and works in Athens, Huntsville area. Jacob has been with McCurry Van and Car Rental for 11 years.  He started as a salesperson and is now the Branch Manager and is responsible for the day to day car SUV, and van rentals. You can reach Jacob and he will help you with finding a van, car, or SUV to rent at 256-230-0232. Jacob does van rentals in Huntsville, AL and the rest of north Alabama. Jacob was born in Athens, AL and still works and resides in the Athens, Huntsville area to this day. Mary is one of our most familiar faces. She has been with the company for almost 11 years and works out of the front desk. Mary wears many hats including office manager. MIchael is from Tennessee and moved to Huntsville, Alabama. Michael has been with the McCurry Van and Car Rental for 10 years and is currently the shop manager. He has a vast amount of knowledge when it comes to mechanical and maintenance aspects of the auto industry. Wes has been in the car and rental business for the past 24 years. 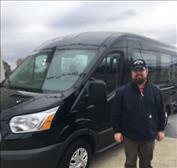 Recently he opened a new car and van rental agency to help fill a need not being met in Huntsville, Alabama and the surrounding Tennessee Valley. He really wants to continuously upgrade and increase the size of his luxury van rental fleet. Wes is from Huntsville, AL and now lives and runs his business from Athens, AL. From the moment you step on our lot until the time you drive away in your next car rental, your rental experience with McCurry Van and Car Rental is our number one priority. We encourage you to use the expertise and resources of our rental staff; they are here to help you find the right car at the right price. Call us today at 256-777-4525 to schedule your test drive!